Very soft feel of ball coming off the face at impact made possible by using 1020 Forged Carbon Steel and using a twice forged process. 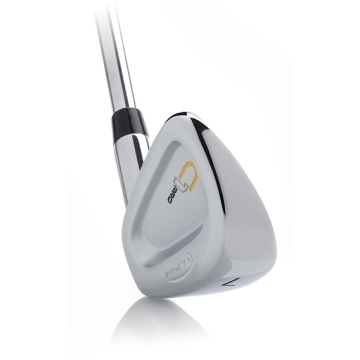 The Alpha signature "Maximum Contact Time" provides the ultimate in power transfer no matter if you're pitching out of a tight lie or hitting it long down the fairway. 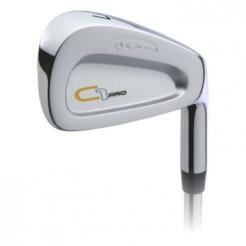 The C1 Pro irons look like a traditional cavity back forged iron. Nice clean lines, very simple, understated cavity back. The irons themselves are polished chrome, with a satin finish on the clubface itself. C1 Pro Irons are exactly what better players ask for with a modern, compact cavity set. 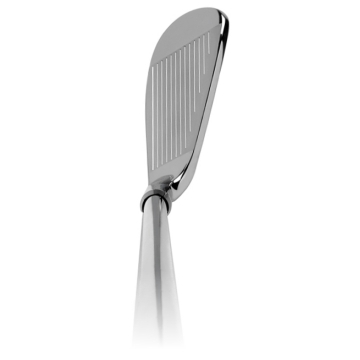 A slightly wider, cambered sole makes this more playable than the muscle-back however size and shape are only a fraction larger. The thin, tapered top line, short head length and smaller wedges mean this is very much a 'tour-ready' iron. 20.5° (3) 60° 5.3mm 38.5"
23.5° (4) 60.5° 5.1mm 38"
27° (5) 61° 4.9mm 37.5"
30.5° (6) 61.5° 4.7mm 37"
34° (7) 62° 4.3mm 36.5"
38° (8) 62.5° 3.7mm 36"
42.5° (9) 63° 3.3mm 35.5"
47° (PW) 64° 2.9mm 35.5"